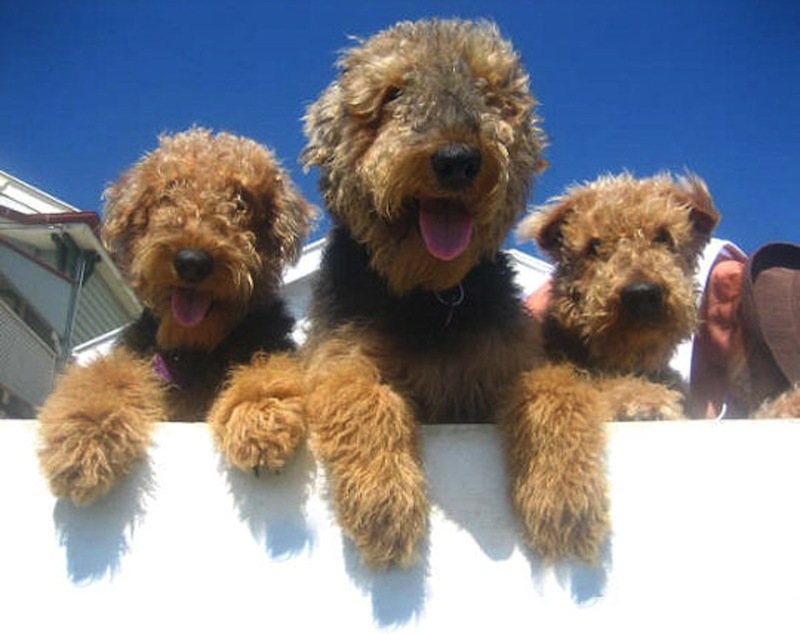 AireNet Australia is the only Australia-wide Airedale Terrier Rescue & Adoption organisation. We provide a safety net for all Airedales in need of assistance, and have approved homes in all States experienced in the fostering and adoption of Airedales of all ages, from puppies to Seniors. Regional Contacts for all States can be found on our website. We act promptly and with sensitivity in all cases brought to our attention, and welcome all enquiries. AireNet Australia has an extremely active Facebook presence and much of our work is facilitated by the rapid communication we can initiate, 24 hours a day, as so many of our members are online all hours of the day. We know that Airedales are not always the right breed for a person, and can be challenging, especially when young. We willingly assist owners who are seeking help to keep their Airedale in their home and family, and we also offer immediate help in taking care of any Airedale that needs to be surrendered quickly, due to changes in owner circumstances. We are non-judgemental and fully understand that there are many reasons why the need to surrender an Airedale may occur. We offer a Holiday Home/Emergency Care program in all States to help owners in need of home-based care rather than kennel care. In addition to the rescue, fostering and adoption activities of AireNet Australia, we actively encourage participation through our Facebook page for anyone seeking fellowship and conversation about TFAOTP (The Finest Animal On The Planet), and we love to share all the joys (and inevitable losses) of living with and loving an Airedale Terrier. All enquiries should be directed to sue@airedalerescue.org or via our Facebook page.